Huawei Phones are some of the best phones to own but they can be a nuisance when they sometimes get damaged. Luckily Phone Guru can do most Huawei repair on phones such as the Huawei Nexus 6p, P10 & P20 Cell Phones. You shouldn’t have to pay to fix something if it cannot be fixed. At Phone Guru, we believe in transparency and long-term customer relationships. If after diagnostics we determine that your device cannot be fixed you will not be charged for anything. We’ve been repairing smartphones for over 10 years now and only use the best parts and components on all of our repairs. Every single repair that we do comes with a 1-year warranty on parts and labor so you can rest assured of the quality of work. The Huawei screen replacement service is needed if the display inside the Huawei is broken. You may notice that your display has spots, colorful lines, or is black and isn’t turning on. We can generally replace the Huawei LCD screen on the same day and have you up and running in no time. If the housing of your Huawei is cracked but your phone is still working just fine then you might just be in luck. With our back glass/housing replacement service, we are able to get your broken Huawei looking like new again. It takes a lot less time and costs a lot less than you think it does, and best of all your Huawei looks brand new again! Are you finding that your Huawei doesn’t charge properly these days? Or do you have to bend the charging cable in all sorts of weird positions to get your phone charging? Is iTunes not recognizing your phone when you plug it in? We are able to replace the charging port and get your Huawei working properly again. It takes a lot less time and costs a lot less than you think it does, and best of all your Huawei looks brand new again! Having your Huawei’s earpiece stop working can be a really annoying issue. You have to use the speaker during phone calls to be able to hear the person whom you are on a call with. We can replace the whole earpiece speaker assembly and get your Huawei working properly again. It takes a lot less time and costs a lot less than you think it does, and best of all your Huawei looks brand new again! Is the speaker on your Huawei not working anymore? There is no need to rob yourself of enjoying your music on speaker. We can repair or replace the whole loudspeaker assembly and get your Huawei working properly again. It takes a lot less time and costs a lot less than you think it does, and best of all your Huawei looks brand new again! A properly functioning Huawei should have 12 hours of battery usage time on an average use case. Do you find that your Huawei is holding a charge for way less than that? Is your phone completely dead and not holding a charge at all? We can repair or replace the battery on your Huawei and get it working properly again. It takes a lot less time and costs a lot less than you think it does, and best of all your Huawei looks brand new again! We can repair or replace the front or back camera on your Huawei and get it working properly again. It takes a lot less time and costs a lot less than you think it does, and best of all your Huawei looks brand new again! Has the microphone on your Huawei stopped working correctly? Is the other person on the line hearing a lot of static or can’t really hear you when you’re on the phone with them? You might have an issue with your Huawei’s microphone. We can repair or replace the microphone on your Huawei and get it working properly again. It takes a lot less time and costs a lot less than you think it does, and best of all your Huawei looks brand new again! 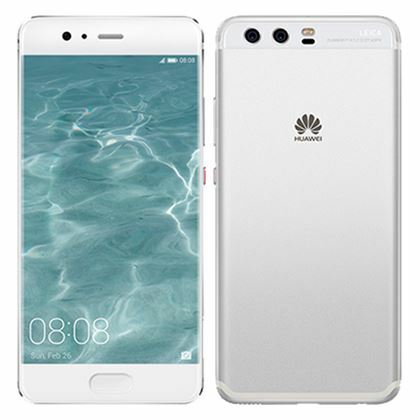 Has your Huawei been exposed to water and isn’t operating properly or even turning on at all? There is a theory floating around that you should put your Huawei that has water damage in a bag of rice but that’s not what you should do. Once water has evaporated from your Huawei it can leave behind corrosion that may cause further damage to your device and essentially make it useless. Sometimes the rice trick may temporarily fix your Huawei, but often it dries out the phone before the water can be removed properly causing even more damage. Your best bet to fix a water-damaged Huawei is to keep it turned off and bring it to us for repair ASAP. There is a free diagnosis for this service so you’ve got nothing to lose by bringing it in for a quick check. If all that needs to be done on your Huawei is to have the water extracted correctly and a quick cleaning then you will only be charged $99.